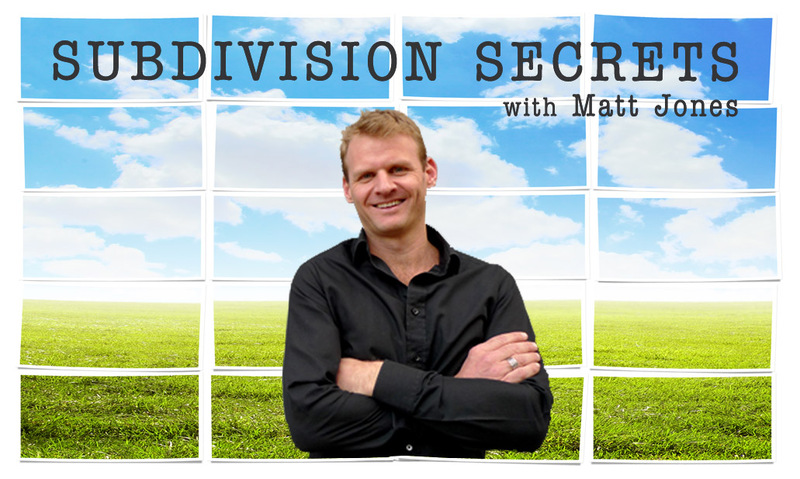 Joining us today on Your Property Success Podcast is subdivision king Matt Jones. Matt did an incredible reshaping of his life ‘from Postie to a Property Millionaire’ using subdivision and is now living the dream in France! I started to question, is there another way. Know your numbers really well, don’t fudge them. It’s important to be around like-minded people, sort of accountability partners. And now here’s your host, a lady who showed up to her first camping trip with a suitcase and pyjamas, Jane Slack-Smith. Jane Slack-Smith: Yup, that’s true. John Hubbard: How can that be possibly true? I think you’re a country girl. Jane: So when I did actually go on my first camping trip over at Monkey Meyer in Western Australia, I turned up with my pyjamas and everyone laughed at me. Jane: And a suitcase. Camping’s not for me. John: No? What about these days? Jane: Ah, no, no. Still not for me. I have this romantic notion that we will go camping but it hasn’t actually been eventuated. Jane: So, welcome back to Your Property Success Podcast and Episode 7. Thank you for joining us today. We really appreciate you being here and this is going to be a very interesting and enlightening podcast. So, let me start with a question. Imagine for a moment that you could create equity out of virtually nothing- no building, no renovation, nothing other than the land or as today’s guest says, “Just by moving few pigs around in the dirt.” Sounds pretty good doesn’t it? I am of course talking about the subject of today’s show, subdivision. John: Oh, I’ve been looking forward to this episode Jane. Subdivision is something that certainly floats my boat for the reasons you just outlined, you’re creating something out of our thin air that wasn’t there before or creating that higher and better use. So I think today’s episode’s going to appeal to a lot of people. Jane: I think so to and John who better to talk to us about subdivision than subdivision expert, Matt Jones. John: Yeah for sure. Matt has an absolutely a ton of knowledge and experience and it’s going to be a real privilege actually to tap into some of that on today’s episode, so he’s promised us that he’s going to be sharing all of these secrets, so yeah, I really think this one’s going to be doozy. Jane: I think so too. Look, Matt’s a great friend to us here at Your Property Success and Matt’s story is really one out of the box. Not long ago, Matt Jones was working 9-5 as a postie and making about $35,000 a year. 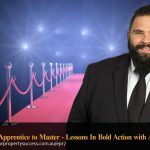 Amazingly, he did an incredible reshaping of his life from postie to a property investor and is now living the dream in France and he did this all by using subdivision. And today, he’s going to share with us all of his subdivision secrets and some extremely practical tips, I hope, and techniques that you can put into play straight away. Things like the practical steps to doing a subdivision and how to use multiple exit strategies to minimise you risk. We’ve also asked him to share with us how he uses private finance to fund his deals and how he realized that money wasn’t everything and packed up the family and moved to France. And also, he’s going to share with us the biggest mistakes that he’s made and how you can avoid them. So don’t go anywhere. We have a huge show for you coming up with today’s fantastic guest, Matt Jones. Matt Jones: Well, thanks Jane. Glad to be here, loved that intro. Jane: You can record that and use it later. Jane: You have come a long way haven’t you? Matt: Yeah, yeah. It has been fun ride, a bit about 10 years now I suppose and not without its challenges. I didn’t take the easy road and it was a lot of learning and continued to learning a lot of mistakes but it was really just about making a decision that I didn’t want to swap my time for money anymore and property really resonated with me and I just dived into it, started doing reno in the beginning while I was postie. So, the postie job was really my transition job I suppose. I used to be in theatre as a lightning technician for 15 years and becoming a postie just sort of cut my wage in half but it also doubled my head space so I could learn how to become an investor and do some deals along the way, so that went for a couple of years. And then, subdivision was where it really kicked off for me, made a little bit of money with reno but I found that it took a lot of my time and whereas subdivision really resonated with me there was a lot of exit strategies there that I could tap into, so for me, that really lowered risk when I got into a deal because I could get out of it in many different ways and I could leverage my time a bit better as well because as you probably know there’s a lot of waiting with council, so there’s a lot of pockets there where you’re not doing anything and that allows you to get ready for your next deal and start getting multiple property projects happening at once. And once I kind of got my head around that, it really sort of- I left the postie job then and I haven’t been back since, that was in 2007 and now I just keep sort of evolving I suppose. Once you start, you keep going to the next thing and getting into a bit of development and then joint venturing and now we’re in France, leaving everything with what happens at home. Jane: So let’s just go back, 10 years ago, you’re a postie. What was- even as a lighting technician, what was the turning point that just went, “This is not enough. “ Was there a book, a rude awakening, what happened? Matt: Yeah, it was kind of everything happened at once. I was just getting to the point in job where I saw that I can keep going higher, but it wasn’t going to get any more fun and I didn’t like what I saw ahead of me basically and I started to question is there another way and I have no experience with property shares, business, anything. I didn’t even know it was there. It wasn’t in my realm of thinking and I was 33 at the time, and I picked up a book at the airport on the way down to, I was flying down to Melbourne to see my dad and [it was a statement notebook noted 130 00:06:11] properties read it, I loved it, front to back on the way down, the way back, and then just went “Yep, that’s what I’m going to do. I’m going to be a property investor.” and I quit my job pretty much a month later from the theatre which was crazy at that time. When I look back and it was really a silly decision. I don’t encourage anyone to do that. Jane: You need the borrowing capacity don’t you? You need that borrowing capacity, the job really, to get to the first property. Matt: hang on a minute, I got to borrow money now, and I’ve got rent and I’ve got a credit card, ok so I’ll need to go find something else. Jane: And you said that you tried renovations to start with, what was your first deal? Can you tell me about that? Jane: A lot of renovators find that don’t they? They go back and do the numbers, it wasn’t really the renovation, it was capital growth that saved their bacon. Matt: Oh exactly, yeah. I mean, we created a nice product for the market but yeah it was really just the market going up and it was just a lot of hard yards, lots of mistakes, and I didn’t understand leverage at that time. I thought if I did all by myself then I’d save money but really I was just missing opportunity by being on the tools and I know it killed me in the end, I had to go on a holiday to Thailand for a month after that just to get over it and rethink my whole strategy. Jane: And there goes the whole profit, right? Jane: And you start again. Jane: So, you said that you were mentored. Did you have a lot of value by doing that? Could you have done it by yourself without having that support or education? Matt: Yeah, yeah and getting more advanced and thinking outside of the box and learning how to get creative with finance and then personal development as well. I have a life coach that helps me with various things that has become more of a business coach now and I have a lot of colleagues that mentor me as well just by being a part of their projects, so it’s kind of an informal thing, but yeah, definitely mentoring is the key. You got to have someone’s the bigger and better than you that can sort of stand behind you and then put you in the right direction and work with you. Jane: And so, just by those people who aren’t aware of subdivision, there’s actually multiple subdivision techniques isn’t it. Do you want to take us through those? Matt: Yeah and it’s the beauty of it I think. There are many ways to get out of the deal and I think that’s important to know how you’re going to get out before you get in, even when you hold, you need a plan of attack of how long are you going to hold it for and when you’re going to realise that gain. And subdivision, you know, for instance, for one into two, there might be a front block and a rear lot. You can renovate the front house, hold that, sell off the back block, pay down the loan on the front house property, selling both off and realise the profit you can build at the back, you knock the front one down, build there as well. You know, there’s probably about 6 or 7 strategies to get out of a deal and I sort of assessed them all. Pick the one that’s most profitable and easiest but I’m also ready to change if the market changes or if I think it’s going up I might want to hold onto it for a bit longer or go it through with the development, or if I think it’s going to drop, I can just dump it or get rid of the back block to sort of reduce my debt while I can. So, that was the biggest sort of attraction I suppose, was that I could lower my risk by doing that but also being able to manage my time a bit better given that I was on the tools so much, this was such a fast stretch from what I was doing. I realised that, okay, the application is in council for a couple of months, what can I do now? I can look for the next deal. I can prepare for finance for the next one. I can find a joint venture, whatever I need to do to keep everything rolling and gathering momentum. Jane: Great. I mean, obviously, you’ve gone from giving it a crack to being very successful at it, there would’ve been hurdles and problems along the way. Was there anything specifically that I guess we’d look back and call them learning opportunities now but things that really come to mind? Matt: Yeah, they know what they’re doing. I’ll just let it go. And it was because it went into council, they picked it up, it came back out so I lost probably 3 or 4 months from that deal and probably $15,000 just in wasted time in having to resubmit the application and I approached the planner and I said, “Why was that put on that side?” and he hadn’t communicated with the surveyor properly, so they just haven’t talked it through and I knew it but I just didn’t have the confidence I think at that time to pick up them on it, so now I’m always really aware and quick to ask questions if I don’t understand something because no one cares about it more than me, I’m the one driving it, so you’ve got to be on top of everyone all the time. Jane: Absolutely. Well, that’s a great great tip and I guess that over the years also, you’ve kind of built your own strategy and system. What’s your system that you’ve been able to replicate time and time again that’s the most successful for you? Matt: I think it’s been to do joint a venturing now. I mean, subdivision, we got into a rhythm where we could keep doing deals and keep flipping them, putting the cash back into the next deal and sort of build that capital base. And then I kind of got to a point where I just had to take stock of things where we had a couple of kids at that point and I was really wanting to step back a bit more. I felt like I was on site a lot and it was turning into a job again and I could’ve kept going, I could’ve just doing lots more deals but my wife just sort of sat back and thought “Why are we doing this? We’re comfortable now” just revisiting the whole “why” factor and taking a step back and we wanted to go and travel overseas, we wanted to just experience that with the kids and learn a new language and so I started to restructure everything so that I could do that which meant changing everything that I did and it forced me to learn how to delegate better and leverage better and that’s when I got into joint venturing a lot lot more where I contribute funding or servicing to other people’s deals or help them with investors or they come into my deal and just sort of open up a whole new world of financing for me where you didn’t have to just save that 10% or 20% deposit and get the loan from the bank and do it traditionally. There were other ways and once I was exposed to that, it just kind of took everything to a whole new level and took away the glass ceiling and it was just a case of learning how to do it safely and properly and professionally and once I’ve gotten the hang of that, that has become my system now where I’m not as involved in the deals but I’m still part of them in a way that I can contribute while I may be here in France, and obviously, when I come back from France, I’ll kick into gear again and get back into subdivisions because I kind of miss it a little bit now. It’s been 18 months I’ve been away and I’d like to get back in the deals but at that time it was just, okay, I’ll just need to step back and refocus here and spend some time with the kids and do the things that we wanted to do which is the reason we got into property in the first place. Jane: And those joint ventures that you mentioned that was moving more into development, was it, than subdivisions. Matt: Not really. They’re so versatile joint ventures that kind of happened across all that deals so we just started to realise the power of using other people’s money and it allowed us to do more deals, so in the beginning it was on our deals where people would find just like a money partner we’d pay them a set return and that would be like a solid partner I suppose and that would free up our cash, so obviously, the cash on cash return was a lot better and we had funds available if we needed to do another deal. We’d take a little bit of the profit but not a whole lot really in the grand scheme of things because you’re only going to be borrowing it for three to six months. So that sort of allowed us to move further in our existing deals and then from there it meant I could tap into bigger deals, larger development deals that were out of my skill level but with colleagues that I trusted and I could see the results. So it was great actually because it just lifted my exposure I suppose to other projects that I normally wouldn’t able to do like development or a 30-unit development. It’s just out of my league, but seeing these guys they were, like, “How can I contribute?” and it’s great it’s like you’ve been mentored along the way, now you’re contributing, you’re not making decisions, you’re not exposed to the risk as much but you’re still seeing it all happen and come to fruition. Jane: So, with private funding, I’m sure people who out there have been affected by and bank policy changes and the type of residential funding that we’d normally see on that kind of subdivision, the two into one type of arrangement to be somewhere between 4% and 5%, even lower than 4%, but when it comes to private funding, it’s short-term funding and you’re usually paying a higher interest rate. What’s that in the vicinity of? Just so people have a bit of an idea of what you’re talking about. Jane: People often, they concentrate on the interest don’t they rather than what it can allow you to do. Matt: Yeah exactly. It’s just the cost of project. It’s just like painting a house. It’s going to cost you 10,000$ to $15,000, also as this money. This money’s going to cost you $10,000 or $15,000 it just goes in as another line as a part of an expense, so once you see it like that, it’s really just another tool to get you moving forward on that project. Jane: So, you’re saying that you started with the flipping and the renovation strategy and went to the subdivision and flipping to build up the cash, and now obviously, you’re in the JV space and probably going to come back and get your hands dirty again, but did you ever hold properties that you had? Matt: Yeah, it’s something in the early days. We left out of our wealth progression strategy and it took us a little while to work that out because we’re so focused on flipping things and building that capital base and getting into the next deal and getting into bigger deals and pulling a wage from it as well that we weren’t holding anything and I look back on that and go “Yeah, we should’ve done more of that” so that’s what we changed a couple of years ago. We we’re more focused on that now so when we’re doing the joint ventures, we try and hold something in there like you might get a return but try and keep something out of the development and that’s our focus now really. We probably should’ve started that earlier. I do regret that because we might not have been able to go as forward as we have, but I definitely think it’s something that people should keep in mind if you can get a balance there where you’re building that capital base, but yeah, if you can hold things in the long term as well with the right property, then it’s going to get you there, quicker I suppose depending on what your goal is. Jane: It’s interesting because I talk to people a lot about the goals and timeframes and they might say, I want $100,000 passive income in 15 years, and I’d get onto my little calculator and it says, well, you need $2 million in the bank earning you 5% and if you’re doing little flips and doing $20,000 – $50,000 at a time, you need a lot to get to $2 million whereas in 15 years if you can have two or three really well-placed properties, it’s almost that set and forget and you can flip some along the way but those are kind of like the money in the bag for your future where if you did sell them, you could put the $2 million in the bank, so I think that combination is a really great strategy. It’s interesting to see you’ve come around to seeing and applying that today. Matt: Yeah, it’s something we missed and because I always thought if there’s growth in the market, because I never expected growth because if I did that, then I would fudging the numbers so I would always look at growth as just cream on the top whereas now I’ll try and balance it more and go, okay, let’s get something that we can hold for a while. This isn’t just about flipping this or this development. It’s about buying the right area providing something to the market for the long term. So yeah, it’s just a shift in thinking that I probably should’ve had a little bit earlier but it’s there now so we all wished we started 10 years earlier so I’ll just apply that now. Jane: Exactly. When people ask me what’s your biggest property mistake, I would say not starting 10 years earlier. So, I guess you’re looking overall because it has been an amazing journey and you’ve done something that not a lot of people do and that is like try different strategies and perfect them. In your whole journey if you’re going to give people advice who are just starting out and thinking about it, what would be the top things that you say you should avoid? Matt: Firstly, I’d say be realistic with your timeframe, what you can commit to being a property investor, so don’t, sort of- like, I was very gung-ho in the beginning. My first goal was to buy 12 houses in 12 months which is a totally ridiculous I was gung-ho and very passionate at that time but you’ve got to be realistic about what you can contribute because a part-time effort kind of yields a part-time result, so that’s fine if you can only commit a part-time effort but just bear in mind it might take you a little bit longer to get there where you may be sacrifice a few things in your life to allocate the time to get there but whatever you do, do it consistently if you commit to something and it’s going to be three times a week or once a week or whatever it is, do it that three times week every single week because after 6 and 12 months it’s, what I’ve learned is, that the results are phenomenal over that period of time and one that don’t seem like much but when you’re constantly having a go, just little things along the way, you just get there so much quicker and so much easier. Jane: I guess the management is really interesting, your point about managing other people because I guess, that realisation that it’s your deal, so you’ve got the most to say about it, the most to lose and the most to win. And at the end of the day, the buck stops there so you can’t really abdicate that responsibility to others. Matt: Yeah, absolutely. Even if you’re a solo partner in something or to investors, you can’t abdicate it. You put the money in the deal but you still need to know the numbers and know the deal and know the market. The more knowledge you have, the better decisions you can make. If you’re trying to abdicate it, you’d probably going to get burned and you don’t have to be the expert. I’m absolutely not the expert in many many facets and I don’t really want to be. I just need to know enough to make a really good informed decision about where my money goes and when it comes back and in what form. The education side is just so important. That time factor, I think a lot of people waste time with their deals I see. So that $100 a day factor is really a good thing to keep at the back of your mind because that just adds up and your profit really quick if you’re not moving forward and managing those people to create momentum and getting into the next dea.l Because as soon as you stop, everything kind of moves backwards, it doesn’t just stop, it actually goes backwards a bit because it takes time to build that momentum. So yeah, that consistency using your time managing people really well, knowing your numbers extremely well, don’t fudge them, I remembered doing that in the first deal, I knew we made a big mistake with where I was so frustrated that I couldn’t find the deal, I started to massage the numbers a bit thinking “Ah, we’ll probably get a bit more growth here. I might better oh actually it looks all right now.” And then, luckily I got out of the deal because something better came along, but if I’d stuck with that, I look back on that one and that would’ve been a tragedy. It could’ve set me back three or five years just because I was getting frustrated and kind of just fudging it a little bit. So, take note of the numbers, be conservative with them and don’t try and trick yourself and then lie at the end. Jane: Exactly. It all comes down to black and white numbers doesn’t it? Matt: Yup and the spreadsheets never gets easy to change that formula to make it look better. Don’t do it. Jane: Rounding errors is what we put it down to. Jane: So, the people who are just starting out, we talked about the book that started it all, there was the mentoring that assisted you along the way, what kind of advice would you give people who are kind of looking at property and going, is this for me. Jane: Because often your friends and family who haven’t experienced it can actually be a detriment to this new interest can’t they? Matt: Yeah, I stopped telling people what I was doing unless they are interested. In the early days- because I really wanted to help certain people, “This is what I’m doing, you can really help yourself by doing this, this, and this…” and if they’re not ready, then it’s just falling on deaf ears and it’s just not worth it. I’d rather talk to people that have an interest, want to make a change in their life and then you’re happy to sort of show them that path if they’re ready to take it and then they’ll create their own journey from them. It’s just pointing them in the right direction. So, I tend to just keep it to people that know what I’m doing or interested, otherwise, it can drag you down a little bit. Jane: Exactly. Well, what’s the most enjoyable part f it? What have you loved the most? Matt: I love doing deals. I mean, I love the numbers, crunching numbers, like I had my head in the spreadsheet for too long sometimes and I love seeing particularly the subdivision. I just love seeing something coming out of nothing that wasn’t there before. It was just a shed in the backyard that has become someone’s home and you’ve been able to help someone get to that point and you’ve profited from it which in turn has helped your own lifestyle and then we’re moving to a lot of philanthropy stuff now which is really floating my boat where you kind of looking bigger than your own needs, where you can help others achieve what they want to achieve, different charities and things. It gets you out of bed in the morning that you can do that and it’s a privilege to be able to do that and just being around to be able to do it. Jane: It’s kind of boring isn’t it when you know what to do and you can do it yourself and you’ve had that success and you’re like, “Well, what now. I can do this” and you’ve kind of proven the fact that the young person 10 years ago couldn’t have done it but you’ve kind of got to the point and then it’s like, “Well, I can tell other people how to do it. Let’s see what they can do.” And that’s the exciting part isn’t it? Matt: I love seeing people have that shift in thinking. Just last night, we did a webinar and there was just a great feedback that came back from it. For some people, it’s actually really life changing and when you have those conversations with people about why they’re getting into property because there’s something really emotional that has happened in their life that they really need to fix something. They need to- they can’t do work anymore or maybe there’s been an accident or something and it’s a real powerful reason and you really want to help those people and to see them have that shift in thinking and change their life and it doesn’t take that long. What we’re doing isn’t rocket science. It’s not that difficult. It’s just having the mindset to want to do it and just having the courage to go and have a crack and having the reason in the first place to do it is all you need and having that support around you. It’s a privilege, I say it’s a real privilege to be able to help others get there because I got a lot of help in the beginning too, to give back what you can. Jane: Absolutely. Well, where to now? You’re in France? Why France first of all? Why France? Matt: One and three or four at that time and we just thought it’d be a great option for them and for us to see it through their eyes was really exciting, and so we just packed up the house, put in storage shed, sold the cars, and left and just immersed ourselves here. Jane: So, you’re having French lessons? How are the kids going? Are they better than you? Jane: How do you work from there? Is it difficult? Jane: Choose a day at a time anytime as long as it’s after 5 pm and I’m awake. Jane: Well, I guess the question is, when are you coming back? Because you have got one of the most amazing meet-up groups in Brisbane and I know that just—you know, we’re down in Melbourne we’ve even heard about it that people just love it and hundreds turn up. Are they going to see your face again? Matt: Absolutely, yeah, yeah. I do miss it actually. It has been 18 months like I said. We should be back early next year. It’s the plan at the moment. And yeah, I’ll definitely be coming back and doing the meetings because I miss that interaction and I do enjoy them and I’ll get the same value as everyone else around out of it, just the people that I meet and the strategies that I continue to learn just by being in the room, I do want to come back, and I’ve pulled in a lot of favours, I think, from people running the meeting for me, so I probably sort of outdone that by the end of this year, I think, so I should really get back in. But I’d be tapping in by VideoLink and Skype and things so my face is still there. People still know who I am but it would be nice to slip back into things when I get back and be a part of that group again. Jane: And look, it’s interesting, you talked about systems and teams that allowed you to work overseas and the effort that’s put into creating that for your business, but it’s the exact same kind of methodology that you put into a property investment deal isn’t it? You put in the system, you put in the time and the effort upfront and you get the results to be able to enjoy in the end. Matt: Yeah, it’s so true. 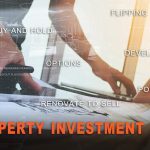 Someone, I don’t know who it was, but they said, “The sooner you treat your property investing like a business, the more successful it will be.” Because I remember in the early days it wasn’t like a business at all. It was a hobby. Paperwork was everywhere. I wasn’t managing it properly and then once you start to scale up, it gets really messy. So the soon you treat it like a real full-blown business, you go to work at 9 o’clock and you do e-mails, you do bookkeeping, you do whatever you have to do and then you can start leveraging, that’s why other people want you to know what the system is and that’s what I had to do with my businesses put in better systems, so that I could hand them onto someone else, so that they could what I couldn’t. If I gave them a big jumbles mess, then it really wasn’t fair on them to try and pull it apart while I’m on the other side of the world, so it is important that those systems are in place and it just means you can do things better and from there you can upscale your business from there and once you have those systems you can keep stepping back I suppose so that you’re doing less but you’re focusing on the things that a more valuable like growing a business or just looking for deals, not having the time to sit back and assess deals is invaluable. Jane: Get lost in the spreadsheet. Jane: I want to just now finally get back into some of the subdivision questions. So, we’re talking about subdivision and a way to- what I love about this is that higher and better use, as you said, turning someone’s shed into money basically in their backyard. It’s like the diamonds in the backyard scenario but does it work in any market? You said that you leave the cream on the top of growth out of it. Can you do subdivision in any market? Matt: Absolutely, yeah. I think you can and for me that’s come from not focusing on the capital growth because you’re creating that equity, that you profit you sell, it’s not the market doing it, so you’ve got to choose an area where there is some scarcity or you’re bringing a product to market, the one which might be a block of land or building a new home in an area that people wanted in, so getting that part right is critically important doing that market research but the thing I love about property is it’s not all about market’s going up and down. People have their own needs to downsize, upsize. I mean, we had to sell a property on Sunshine Coast for less than what we paid for it at one point because our family was growing and we needed a bigger house and we couldn’t afford to wait around for that, so there are so many people in that situation, doesn’t matter what the market’s doing, there’s still a need for people to move on or upscale or downsize, so it’s just about finding the niche I suppose and that need in the market so you’re providing something for them. I mean, you can cut up blocks anyway you like but if you don’t sell it or if you don’t add any value to it, then you’re really not going to make any profit, so you can get it wrong absolutely so it’s important to pick those right areas. Jane: So you need the right- so what I’m hearing is the right area, so how do you do, I guess some top level research of knowing what to look for in an area. Matt: I use PriceFinder a lot. I do research on there just filtering out property, so pick a suburb, so I just for instance moved into a new area and I don’t know anything about it, I will jump online and I could use PriceFinder I could use Google maps potentially a little bit. PriceFinder just has a bit more info. So I’ll just search for all the blocks in that area that are over 800 sqm and start looking at them, start looking at the plan, start looking if there’s any precedence in the area, if anyone’s done it before because that’s going to help me get my application approved and just firstly making sure there are blocks in that area that I can split. In the first place, if there is a product there that I can work with, precedence, and then looking at that numbers game where, what’s the block going to be worth at the end? What’s the end value once I do split it and then working backwards from there to see if I can buy something at the right price so that once after I’ve added all the value and paid for the [submission 00:40:09] cost and potentially the reno, there’s still going to be a profit at the end once I sell it back to the market. Jane: When you say over 800 sqm, that would be specific to what the council says that you need to be able to subdivide, so it could differ in every different council area couldn’t it? Matt: Absolutely, yeah. It’s very important to get knowledge of your own council code and that varies from street to street sometimes in some areas, but yeah, basically finding out what the minimum lot size is and then doubling it and say you know you can only split into two and once you know those parameters with the council, you lock them in. That doesn’t change. They might change [resigning 00:40:49] occasionally but it’s kind of rare. So once you know, okay minimum lot size is 400, frontage is 10 metres, you’re going to have a setback of a metre and a half between dwellings. A side access needs to be 3.5 metres. You have these little parameters you find out just by doing your research on a few deals and then you lock them in. “Okay, I need to find deals with those parameters and that allows you to quickly filter through potential sites, so you might have 10 sites you’re looking at just by looking at a map and where the house is positioned. You can actually cross eight of those off straight away because you know it’s just not going to work because you got to demolish the house or it’s too close to the boundary or there’s not the right frontage, you just let them go and try and work with the easy sites. Matt: Having a go, yeah, with 500 other people, yeah. Jane: So, I guess that kind of, your experience over the years and what you’ve seen in being part of with other people’s deals from a feasibility point of view, is there more money in adding a property onto a vacant block or is it the vacant block itself or is it maybe the vacant block with the DA attached to it, have you seen the majority of where the most of the feasibility stack up? Matt: Yeah, it’s a really good question and I think you got to asses all of those things in the beginning and really get clear on what outcome you’re chasing because you don’t want to change it halfway through, you don’t want to split the block and then go, “Oh okay, let’s go and build a house in the back because then you’ve got all that lag time of preparing for it. It’s just going to cost you money and holding cost, so if you’re going to build on the back, build on the back from day one, you’re preparing from that from day one while the subdivision is happening so everything just leap frogs one thing after the other. But I found particularly in my first few deals we just sold the land like we would say one in two we’d keep the front house, sell the back block, pay down the loan on the front house, and then eventually just sell that front house when we thought the time is right and we just thought building on the back. Time was out of our skill level, so there was more risk, there was more capital required, more time, so we just decided to sell the land and I found it’s harder to sell a land than a house because people can’t usually visualise what it’s going to look like, it’s just a block of dirt, but then we’ve learned strategies on engaging project builders and proper marketing to give people a concept. But I think when I did the numbers on, say, building a house at the back instead of selling the block of land, there was sometimes only an extra $30,000 or $40,000 in it and it just didn’t seem like it might take us 6 or 12 months to get there and anything can happen in the market at that time, why not just realise that profit, leave some money in the deal for the next person and then go onto the next one. But then sometimes, if it it’s a really good site in a great area close to the city or in high demand, then yeah, go for it. If it’s going to stack up, if the money is there and it’s worthwhile, it’s worth the extra risk and extra funding, then go for it. So it’s really just a case of assessing the deal on its merits and then the day I started things here there’s the potential to add value with the DA, I don’t find that that does a whole lot though. I think it’s a bit of a fallacy there that you can just get a DA and that adds $50,000 or $100,000 to it, I don’t see that happening very much. Sometimes it even detracts from it because you’re stuck with that DA, so oftentimes we bought a property where someone has done that thinking they should get more money for it and then when we assess it, they’ve actually tried to create the wrong product in that market on that site so we’re not going to use that DA. So that’s no value to us, we’re not going to pay more for it. So it’s about doing the right DA to start with but then don’t expect that someone’s going to pay more money for it because they may not value it in the first place. Jane: And this is what I really love about the subdivision strategy, the higher and better value, you’re creating something from nothing, there’s multiple strategies you can employ and easy feasibility that you can do but what you’ve kind of said to us is beware of the need for that product or the asses that you’re creating and so that the market wants it and then we’re not talking about putting 30 units or as many townhouses that you can put onto a block and be the winner of putting the most on a block in the area but we’re talking about finding out what the market wants, find out what the council will let you do. We’re talking one into two. 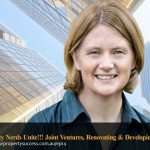 So we’re still in residential lending kind of scope to if you want to go down that path and it’s not leveraging a whole lot of money out there and as you said, there could be JV partners that might want to be part of it and even mentors that will come into the deal, so there are so many risk minimisation parts of what you’re doing and then capital growth, this is the cream on the top if you get it, is part that you can add to it. So I really appreciate what you’ve shared with us and especially for, I guess, new investors who are kind of looking at different strategies and trying to come up with a strategy. This is definitely one that you’d put on the table. It’s, I would say, almost assume to be a higher risk because it’s out of the normal mom and dad buying a house and buy and hold or even buy and renovate a little bit. But the fact that you can minimise the risks by doing the numbers, doing the feasibility, knowing you’re in the right area, knowing that you’ve got the right asset, is completely giving you multitudes of ways of being able to create money from nothing, so I love it. I think what you’re doing and what you’re teaching people and how you’re doing it in such a wonderful way is great. And then you’re living the dream, you can prove you can do it. You’re over in France living it. So look, I really appreciate you being here Matt. People can get more information about you from where Matt? Matt: Yeah, just go to the website, everything’s on there. I just direct people there now. It’s propertyresourceshop.com. I’ve got right into blog posting while I’ve been over here just to help with my creative outlet. So, there are really good blog posts going up there every Tuesday. Yeah, just jump on, drop me a line on the contact page there. I’m happy to chat with people. I’m pretty good with e-mail. I’ll get back to you within 12 hours with the time zone, so if there’s something in there you like, let me know. Jane: Perfect. Thank you so very much for your time Matt. John: That was really great. I mean seriously, just go and get the transcript to that episode if you’re interested in subdivision because there was so much good information in that interview. Jane: I know. It was so good. 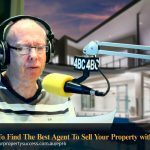 Now, you can get that transcript at yourpropertysuccess.com.au/ep7. So John, where do we start with all that information? John: Probably with his story. He started out doing the renos and then he went into the subdivision and it is good that he spent 7 months before he took on his first project, so it showed right from the start he’s pretty diligent. Jane: I’ve got to say, I do have an affinity for his love of numbers and number crunching exercises he went through so it’s really good to see that he looks at the concept of creating something in the subdivisions out of nothing that kind of looking at the backyard and going, “Where is the money? This is fantastic” but there are so many different ways of doing subdivisions. John: Yeah, lots of forms of subdivisions. It was great to hear and list them like the side by sides. That’s what we’ve been doing, the one into two or the one house behind the other, we call it a battle-axe block in Victoria. I don’t know if that’s used in the state but the idea here is that rear property with the driveway running past the front property is like an “x” shape, like axe. Jane: Oh I never knew that. I always thought it was just a name, that make sense. John: Yup. And yeah, he talked about that he might renovate the front and hold the property and then sell the land at the back to pay down the loan at the front house which is really clever. He also might sell both, the house at the front and the land at the back and he also talked about how selling the land was initially difficult but they didn’t work out strategies like approaching project builders and so on. Jane: Really clever. And he also- he jumps to the end. He looks at the exit strategies before he even start, so he may have 6 or 7 exit strategies and he assess those at the start of every job, but he’s willing to make changes to that exit strategy based on the market changes because obviously subdivisions, the time frame, it can be quite large. So he look at first of all what the exit strategy that’s most profitable for him is and also the one that’s easiest for him to achieve. John: Yeah, it’s great. Really, it’s great. And then he went onto the feaso which was good. I was glad to hear him describe that because it’s exactly the same way as we recommend it in the Ultimate Guide to Renovation so what’s the end value going to be, once you know what that end value is, he then subtracted his subdivision cost plus all the potential reno cost if you did the one on the front and then the property he wants to make and that then dictates what he needs to buy the property for in order to take on the subdivision. John: Yup, which is a nice, safe, easy formula. John: And then he chucked it all in and went to France which is great. John: There’s hope for us all, yeah. Jane: Sometimes we do put our heads down and we focus on things and then you put your head up and life has gone by. So we have to remember why we do it. John: Doing so many deals, you’ll run out of life. Jane: And look at what’s he’s doing now. He’s in a new country, learning a new language. His kids are being brought up in another culture for the year or so that he’s away and he’s doing charitable work so he’s really connected with that. Great guy. Great story. I love it. John: Yeah, it is good. Jane: Well John, I guess a huge episode again. Incredible amount of takeaways for everybody including us. John: Yeah, absolutely and now it’s time for… I’ll let you Jane. Jane: Suburbs Against the Clock. Jane: Are you hiding in one of the meeting room at work? Jane: Picked that didn’t I? Now tell us James, are you a property investor, a renovator? Where are you in your stage of journey through property investment? James: Yeah, we have a couple of rental properties and- which is always fun maintaining. Jane: Okay, so if you were going to choose a capital city to play for today in Suburbs Against the Clock what city would you choose? John: I thought so, I thought so. All right James, well, for Melbourne, can you name 10 suburbs in 20 seconds that are on the river. John: Two. Come on James. John: Sorry James, we hit 20. Jane: Oh, that’s 20 seconds James. John: and I don’t think Ashburton is on the river either mate. Sorry. Jane: Can we send him a book? Jane: Can we send him a book. James, thank you so much for hiding in that meeting room and being part of Suburbs Against the Clock, if you could put in the chat box your address, I’m going to get you a book. Jane: And the only suburb quiz in Australia [I’m hesitant 01:01:15] to say. John: Just simply email support@yourpropertysuccess.com.au and use the subject line Suburbs Against the Clock. Jane: And you can also give us some suggestions because we’re kind of running out of ideas for future questions. Jane: Well, John, once again, an incredible podcast. I’ve really enjoyed it and we had a fabulous guest, Matt Jones, and look, he’s been a great friend of ours and a great supporter of the Ultimate Guide to Renovation over the years as well. 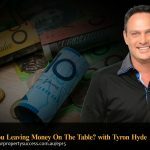 Now, if you’d like instant access to the transcript plus get access to some of the free training for our community and all the show notes and links to everything mentioned today, links like Matt’s website, the propertyresourceshop, the networking groups in Brisbane, the Gold Coast and Sunshine Coast, PriceFinder software, and anything else mentioned on the show, simply go to www.yourpropertysuccess.com.au/ep7. That’s Your Property Success dot com do A-U forward slash the letter E for echo, P for papa and the number 7 or simply Google YPS podcast. Jane: And john, we should mention that the Ultimate Guide to Renovation 2016 is fast approaching. John: Yeah, it is. I mean, again for 7 days on the 20th of October, so if you’d like information on that and to hear reviews from many past students that have taken the course, simply go to ultimateguidetorenovation.com.au. Jane: So that’s it for today. Stay safe everyone and here’s to your property success.